Got a question? Want to comment? Or just comment on the blog. I'll happily chat away. 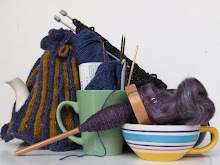 If you're an independent yarn-maker, I'd love to hear from you about working together on a pattern. I am trying to get your pattern for the free-bee! but it keeps redirecting me to the Ravelry page, so no pattern instructions come through... My eldest dd collects this kind of bee and I want to give her a handmade one - yours has the most personality!!! Heya, Shar. Thanks for your comment! I have had a look at the Ravelry page. It should be a free download, but it seems to have lost the download button. Very strange. I am having the same problem with Luna's radish earrings. It keeps redirecting me. They are totally awesome. Thanks for your help. I have fixed the Ravelry link to link to the location of the pattern on my blog, here. It's at: http://thread-bear.blogspot.com/2009/07/new-crochet-pattern-download.html in case you drop back here. Thanks for letting me know! It's easy for these things to go unnoticed by a scatterbrain such as myself.